I woke up this morning yearning for the Northwest and by the time I made my coffee and took in the day’s weather – mild temperature, light showers, damp, grass still green – I thought, ok Pittsburgh is rad today. Then I had an awesome cup of Batdorf and Bronson coffee, El Salvador Siberia Pacamara, just like I would have in the Northwest. So what inspired this post is an article in Pop City, “Pittsburgh remains a good place to be in the recession“. 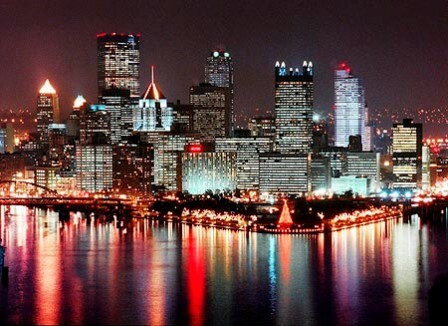 There is a saying in Pittsburgh that “if the world ended today we still have 25 more years!” Yea, so we don’t live beyond our means, we have great hospitals, universities and a ton of small neighborhood businesses that keep our local economy rolling. I believe the fabric and cultural centers of our neighborhoods and business districts are some of the amazing, stand-up coffeehouses and espresso bars like, 21st Street, Beleza, La Prima, Simpatico (Mt Lebo) Aldo and Blue Horse and Tazza D’Oro. Just maybe this is a good time to begin exploring the culture and experience of coffee while the rest of the world seems to be floundering out of control. Just thought I’d mention the coffee!